The organisers of this year's Wotton in Bloom are gearing up to decorate the town with flowers in good time for the Queen's Diamond Jubilee. The organisers of this year’s Wotton in Bloom are gearing up to decorate the town with flowers in good time for the Queen’s Diamond Jubilee. 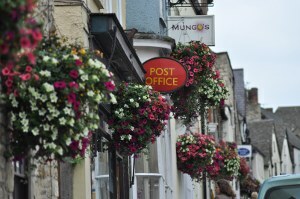 The plan is to have the town’s main streets adorned with colourful hanging baskets on Wednesday 30 May. For the third year running Church Street, Long Street, High Street, Market Street and parts of Haw Street and Bear Street will be transformed and to mark this special year of Jubilee celebrations they will comprise the heraldic colours of scarlet, gold, light blue and white as originally chosen by Constance Spry for the flowers at the Coronation in 1952. The Wotton in Bloom Committee would like to thank all of the traders, sponsors and donors who have so far contributed to the campaign - including the beautiful headed paper, envelopes and the payment of postage which have made such a difference to this year’s appeal. Chair of Wotton in Bloom Sue Hunt said: "It is wonderful to have had such a response in the current economic climate. “The target for our fundraising is within sight but we can’t guarantee that we will meet it enabling us once again enhance our lovely and bustling market town with floral displays that will do it justice. “I would like to remind everyone who wants to take part, to donate or to sponsor a basket that we need your money as soon as possible." Wotton in Bloom is a project being jointly organised by the Wotton-under-Edge Chamber of Trade and the town’s Regeneration Partnership.